All women developers and hackathon enthusiasts are invited to participate in HackerEarth's International Women's Hackathon 2019. HackerEarth’s annual International Women’s Hackathon is back with its 5th edition - the IWH 2019. 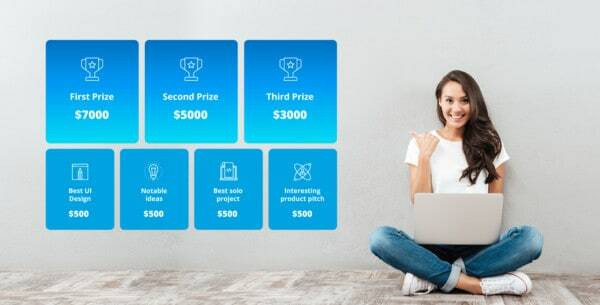 This edition of the International Women's Hackathon focuses on being an all-women hackathon and a platform for women to showcase their true talents and build ideas in major sectors such as financial technology, augmented reality, virtual reality, and blockchain. The idea phase is open now thru April 15, 2019. Learn more and register here. With the onset of speech recognition and the increasing trend of intelligent voice-enabled apps, the world as we know is changing. Voice apps are now not just used for creating personalized responses and individualized experiences but are also important for convenience, assistance, and security. The world’s financial systems are becoming increasingly unable to meet the demands of consumers and businesses. It is predicted that new players in the FinTech sector will soon capture over one-third of the legacy banks' revenue. The pace at which technology accelerates makes the banking sector adapt to and evolve its methods and regulations. With digitization, software integrations, and technology breakthroughs, the future of financial services holds amazing opportunities. The wave of virtual and augmented reality has been rising. There are numerous AR/VR devices on the market, including headsets, tablets, smartphones, wearables, and consoles where applications range across diverse sectors from small mobile games to high-end military applications. Category-defining enterprise software companies will emerge to solve problems for every vertical, every business size, and every job function. Solutions for the challenges faced by organizations like businesses, schools, interest-based user groups, clubs, charities, and governments not just have a huge market, but also a great potential to make a difference. The opportunity for blockchain to solve economic challenges is tremendous. The peer-to-peer platform for identity, trust, and financial transactions will help us reconfigure the notion of large corporations and redistribute prosperity among those with good ideas and perseverance. A distributed economy opens the doors for all entities within the network regardless of size or location, to innovation and growth. Open-ended theme where the only restriction is your imagination. Build the ideas that you believe in and make a difference. Women are a highly underrated group in the STEM field. With only 20% of tech jobs being held by women, it is high time to bring about a change. Stereotypes, bias, lack of mentors, and the overall gender inequality are some of the major factors that hold women back from pursuing their interests and realizing their potential. The International Women's Hackathon 2019 supports the UN's theme for International Women's Day - "Think equal, build smart, innovate for change," and promotes women developers around the globe. With that spirit, HackerEarth launches the IWH 2019 on the International Women's Day and invites women innovators, developers, creators, designers, and hackathon enthusiasts to showcase their projects to the world and take them to the next level. Head on to the IWH 2019 page to learn more and register. All Together is the blog of the Society of Women Engineers. 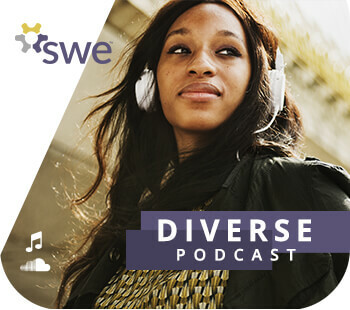 Find stories about SWE members, engineering, technology, and other STEM related topics. It’s up-to-date information and news about the Society and how our members are making a difference everyday. 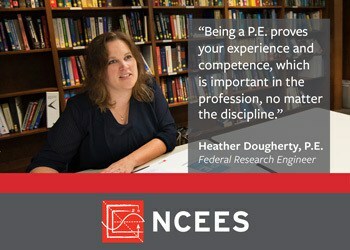 Copyright © 2019 Society of Women Engineers.